Dj Gavpop X Oyinkanade – JejeNigerian Entertainment Awards (2016) Disc Jockey of the year “Dj Gavpop” is the Official DJ of splash 105.5 fm & Lagelu FM 96.7, The C.E.O of Time scale Records An Entertainment outfit & Disc Jockey Training Company”. He started in the late 90’s and he became one of the most Valuable Radio DJ & VDJ helping him win big in the Nigerian broadcasters merit awards in 2016. DJ Gavpop was the 1st video disc jockey in Oyo state has won a couple of plaques on his shelf, The best DJ in Lagos under 30 & 40 awards in Oct 2016, Best DJ Eminence awards in 2016 & 2017 and Best wedding Dj in Ibadan wedding awards in April, 2017 , Maya Awards 2018 (Hall of fame). DJ Gavpop is a skillful, energetic and hardworking Disc Jockey who has over time proven to be called the best in what he does. 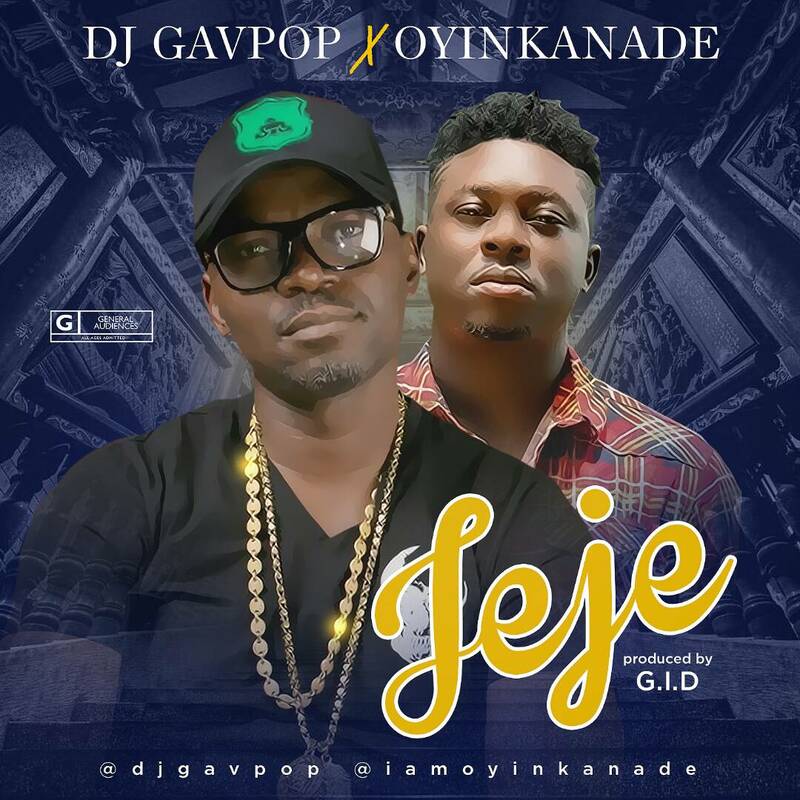 Dj Gavpop hooks up with MTN Project fame Season 5 Alumni/Adura Crooner Oyinkanade (the best artiste to come out of Ibadan) on the amazing GID produced tune “JEJE”.The song was mixed and mastered by Kentee Beatz (Wicked Mix).